Ann Jillian is a three-time Emmy and Golden Globe Award winning actress and singer. Since 1985, she has added motivational speaker to her impressive list of credits, addressing business, medical, professional and women’s groups with her own unique blend of humor and inspiration. Ann’s programs are fun, informative, and flexible to the clients needs. Good Housekeeping Magazine named her one of the most admired women of the world. Her prowess extends from the worlds concert halls, to feature film and the Broadway stage; she has starred in over 25 TV movies, and hundreds of other TV appearances. Her TV movie, “The Ann Jillian Story” which recounted her victory over breast cancer was the #1 film of the TV season, but more importantly, it delivered Ann’s message about the hopeful side of breast cancer to it’s millions of viewers. With the birth of her son after cancer, she now adds the title “Working Mom” to her impressive accomplishments. In addition, she is the President of her own production company, 9-J. Piano Lecture – Ann is always on target with her message of hope; her performance is uplifting and inspirational. Have Ann bring her pianist, and her talk remains a major lecture about life, health, and the joys of motherhood, accentuated with song. (Click on Program Titles to see a description of her lecture programs. Experience – When a speaker has a terrific program, and knows how to deliver it in an entertaining way, the result is success! Ann has been performing for over forty years and has been receiving standing ovations as a speaker since 1985. As Betty Ford once said about Ann Jillian; “Ann’s message is so inspirational. It motivated us to do what we should be doing for ourselves, so as to be happy, healthy, and in love with life and everyone in it.” Getting audiences to feel good about their life is exactly what Ann Jillian does, and in a very entertaining way. Do you want to hire Ann Jillian? Directly request a quote. In 48 hours we can send you the availability of Ann Jillian If you would like to book Ann Jillian, Entertainment Booking Agency is the right place. We will offer you the best price and contact the management or we directly contact Ann Jillian. For corporate appearances or speaking engagements you can contact our agents and the will help you true the process. Tags: hire Ann Jillian, Ann Jillian booking, book Ann Jillian, Ann Jillian appearances, find more information on booking Ann Jillian for appearances, Ann Jillian speaking engagements, Ann Jillian endorsements/spokesperson, Ann Jillian appearance fees, Ann Jillian booking agency contact info, biography of Ann Jillian, Contact an artist booking talent agent find a speakers bureau that can book Ann Jillian, speaker booking agency for Ann Jillian, Ann Jillian booking agency, Ann Jillian booking for corporate event. EBA is one of the biggest entertainment booking agencies in the World. We book hundreds of celebrities, artist, athletes and speakers in a year. Important to know is that we are not claiming to be the management of Ann Jillian. 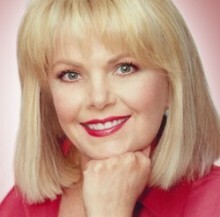 We are not the official agent for Ann Jillian. Companies from around the globe book these artists and speakers true our company be course we have one of the biggest networks and we always have direct contact with the artist or the management. We help you to find the right celebrities for your corporate of private events. Please contact one of our agents to get free advice and we will help to get the world-famous artist on your party.